Home / Food and Drink / Desserts / Is This Photo Of A Filthy McFlurry Machine Enough To Make You Never Eat One Again? 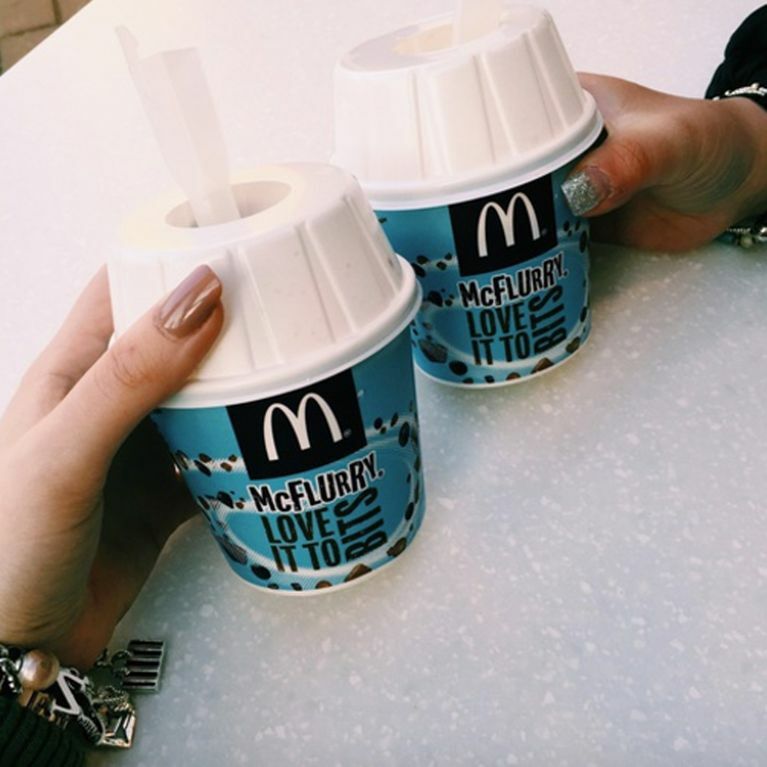 Unlike Marmite, the humble McFlurry has the power to unite the masses - even though your choice of topping is heaped in judgement. McDonald's much-loved ice cream and its menu of E-number-heavy garnishes is the holy grail of fast-food desserts and when you get the rare chance to enjoy one when the machine is actually working, you savour every lick. But you might want to look away now because we've discovered the grim reality of where the much-loved McFlurry starts life. Are you even British (I can only vouch for my native country) if you've rocked up to a McDonald's in the search of a McFlurry only to be told the machine is out of order, again? Answer: no. My favourite part of this rite of passage is the fact the staff can never give you a reason and you're expected to be satisfied with a 'sorry, no'. But perhaps it is a good job Mcflurry mansion shuts up shop so often to ensure maximum cleanliness as after having seen the state of a McFlurry machine in one US branch of the famed fast-food chain, we're thanking our lucky stars for all the times we've been denied an ice cream. Nick - who is employed by McDonald's or he was until this viral scandal broke - took to Twitter to share photos of the disgusting state of the McFlurry machine at his branch, much to the horror of customers. "This came out of McDonald's ice cream machine in case y'all were wondering...," he captioned the photos which showed a metal tray filled with a mouldy gunk. He was quick to shut down people who questioned the legitimacy of the photos, with some accusing him of deliberately filling the tray with grease from elsewhere in the kitchen. Nick wrote: "This is the grease trap for all the people that think I'm lying..." alongside photo evidence. He also clarified that the manky tray isn't the reason the machine is always down as somehow it "works perfectly fine with this in it". Unsurprisingly, Nick has since been fired from the McDonald's branch he exposed on social media but he claims it was his plan all along. "I got fired from McDonald's. I strategically planned this because I start working at my new job Friday. I planned on losing my job," he tweeted which makes us think twice about how true this whole dirty-McFlurry-machine thread is. I've been eating McDonald's for more than 20 years and I'm still a (mostly) healthy 27 year old. And you know what they say - what doesn't kill makes you stronger - so I'll let you be the judge of ordering a McFlurry again in your life because we all know we all definitely will. Moschino's McDonald's Tribute: The Tackiest Thing To Come Out Of Milan Fashion Week?